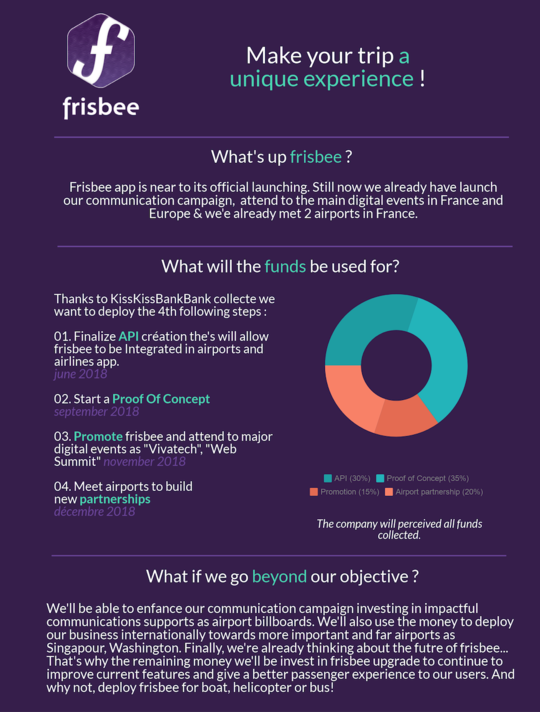 Help us to launch Frisbee! 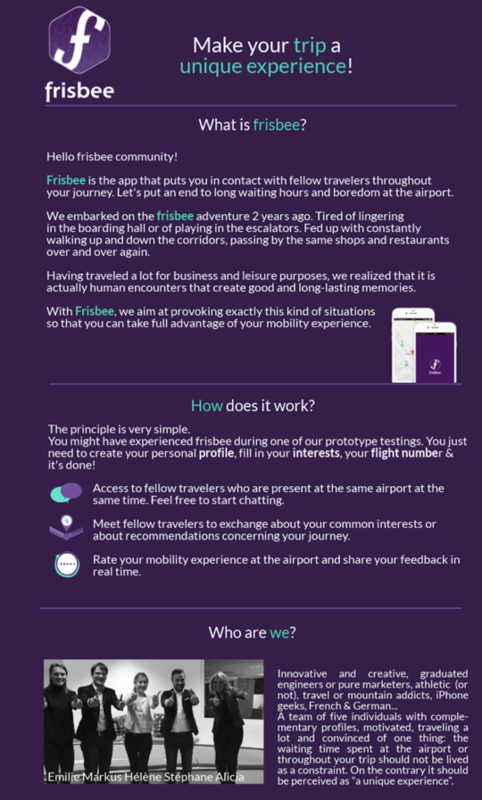 The app that puts you in contact with fellow travelers throughout your journey. A big thanks :) sent by email, a sticker & a post card. A big thanks :) sent by email, a sticker, a post card, a tag bag & 1 year of premium subscription to frisbee app. A big thanks :) sent by email, a sticker, 1 year of premium subscription to frisbee app. & an aircraft model.